نعم! أرغب في الحصول على نماذج تقديم أسهل في المستقبل. نعم! أوافق أن يقوم موقع InternationalStudent.com بمشاركة معلوماتي الشخصية مع عملاء وشركاء كلياته وجامعاته. كما إنني أرغب في استلام النشرة الإخبارية الشهرية وأي رسائل من InternationalStudent.com. وأوافق على "شروط الاستخدام" و "بيان الخصوصية". ولما كان مقر هذا الموقع الولايات المتحدة الأمريكية، فإن كلتا هاتين الوثيقتين تقدم لكم معلومات حول كيفية استخدامنا واحتفاظنا بمعلوماتكم في الولايات المتحدة الأمريكية. The English Language Institute (ELI) offers intensive, high-quality, non-credit instruction to non-native English Language speakers. The ELI is an academic unit of Florida State College at Jacksonville and is located at the Downtown Campus. Our mission is to help students gain proficiency in English as a second language and a better understanding of the American culture. 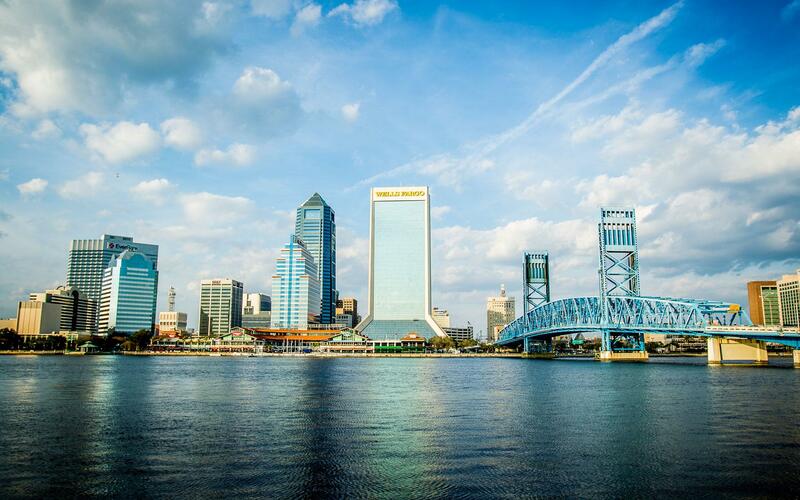 Jacksonville, Florida is known as the “bold new city of the south." Home to over 500 neighborhoods, there is a diverse culture of city life meeting the relaxed Florida beach lifestyle.During your time as a student here, you will have the opportunity to see the sights and experience true Floridian culture. Adjacent to downtown Jacksonville in the historic Riverside neighborhood is the Cummer Museum of Art and Gardens with picturesque views along the mighty St.John’s river. Make a day out of it and check out the local arts market right next door on Saturday’s from 10am until 4pm! There is also a variety of other museums located in the downtown area such as the Museum of Science and History (MOSH), the Museum of Contemporary Art (MOCA). Beach side there is the Jacksonville Beach Historical Museum. Here in the bold city most Sundays are for football. The Jacksonville Jaguars are a pro football team part of the NFL. With plenty of home games to attend at Everbank Stadium during the fall months. Living here you’ll quickly catch the Jaguar fever and find yourself roaring with Jacksonville Jaguar pride! If football isn’t quite your thing we also have our soccer team the Jacksonville Armada and our baseball team the Jacksonville Jumbo Shrimp. Another great option for a day of fun is the Jacksonville Zoo and Gardens, with a wide variety of animals it’s easy to spend a whole day learning all about critters near and far. Jacksonville also has the large shopping mall of the St. John’s Town Center. Home to over a hundred shops and restaurants and still expanding! Located nearby is the newly opened Top Golf where you can put your golf skills to the test. During the summer months you’ll find both locals and tourists grabbing a surfboard and heading to Jacksonville Beach to shred some waves and soak up the sun. Jacksonville Beach has many bars and restaurants to really get into that relaxed Florida atmosphere. No matter what part of town you’re in there is always something going on in Jacksonville! High Quality English Instruction The English Language Intensive (ELI) Program offers intensive, high-quality, non-credit instruction for non-native English Language speakers. The ELI is under the Continuing Education Department of Florida State College at Jacksonville which is located at the Downtown Campus. 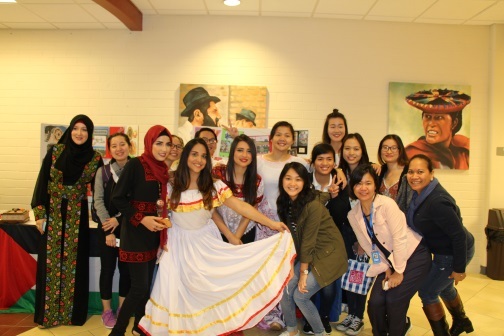 This program assists students in gaining proficiency in English as a second language and provides a better understanding of American culture. As the program’s central mission focus — consistent with the College's mission to provide meaningful learning, excellent teaching, and quality service — students will be provided an intellectually stimulating and supportive environment that is flexible yet goal-oriented. Once a student submits their application along with the $80 non-refundable application fee, they will be sent an assessment test online. Prior to being admitted, the College requires additional information regarding the student’s current English skills. The test scores will help the staff determine if this program is the best fit for students to improve their English language skills and, if the student is accepted, whether to place them in an intermediate level or advanced level. The student's acceptance letter and Certificate of Eligibility (I-20 Form) cannot be processed until the test results are received. Once a student has completed the test, they will be contacted by the College via email regarding their admission status. Additional correspondence is provided via a welcome email from student management regarding student orientation, term dates, tuition and other necessary items. This program serves non-degree seeking F-1 international students only. The ELI staff helps students who wish to apply for degree programs by providing them with English instruction and college admission advising. 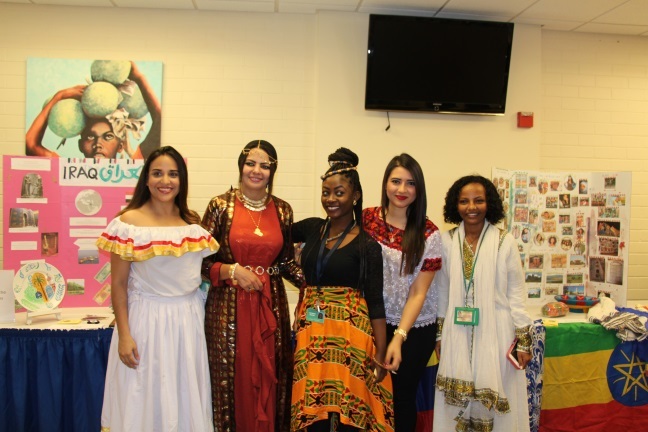 The ELI helps international students acquire the foundation in English they need to enter and excel in degree programs at Florida State College or other higher education institutions. Curriculum Grammar This course is designed to give students an understanding of English grammar through class instruction and practice both inside and outside of the classroom. There are a few areas of special emphasis in this course that separate it from a grammar course for native speakers. This is important because grammar textbooks and lectures in the standard college classes in English speaking countries are generally not designed for non-native speakers. The first emphasis is on sentence and phrase structure. Although you may encounter familiar English grammar structures this semester, there will also undoubtedly be a variety of new information presented. The second emphasis in this course is on word choice. Most foreign language learners find themselves at a loss when faced with choosing the correct word in their non-native language, this can result in questionable meaning or a complete loss. Specific grammar skills in this class include identifying and using correct verb forms, nouns, adjectives, adverbs, prepositions, pronouns, as well as conjunctions. Reading This course is designed to give the student an understanding of the reading process through class instruction and practice both inside and outside of the classroom. There are many areas of special emphasis in this course that separate it from a reading course for native speakers. The first emphasis , is on inductive/deductive reasoning processes of Western culture. This is important because textbooks—and information in college level courses—are organized and presented according to this linear reasoning process. The second emphasis is on vocabulary. Although you will learn many new English words this semester, various techniques of vocabulary improvement are more important. The third emphasis in this course is on reading fluency. Most foreign language learners read slower in their non-native language, which can mean more hours of study time. Specific reading skills in this course include identifying main ideas and patterns of organization, making inferences and generalizations, distinguishing facts from opinions, and recognizing tone. Writing This course is designed to give the student an understanding of the writing process through class instruction and also practice both inside and outside of the class. There are multiple areas of special emphasis in this course that separate it from a writing course for native English speakers. The first emphasis , is on English grammar at the levels of the sentence, the clause, and the phrase. The second emphasis is on vocabulary. Most foreign language learners have a limited vocabulary when writing in their non-native language, which could result in questionable meanings or a complete loss thereof. Students will be encouraged to use the English words they already know but to learn and use new words. The third emphasis in this course is on information organization. Many English language learners come from cultures that organize information in a different manner from that found in Western society. In order to help students understand the ways in which information is typically organized in the West, appropriate class time will be devoted to discussion and explanation of this critical area. Specific writing skills in this class do include the formation of complete sentences, the effective use of various sentence types, the understanding and use of brainstorming and outlining, and self-editing. Listening and Speaking In the Listening and Speaking class, students will improve their skills through a customized curriculum, which is focused on pronunciation enhancement, intensive listening exercises, and opportunities to develop and practice a variety of speech functions through pair work, small group work, and class presentations. 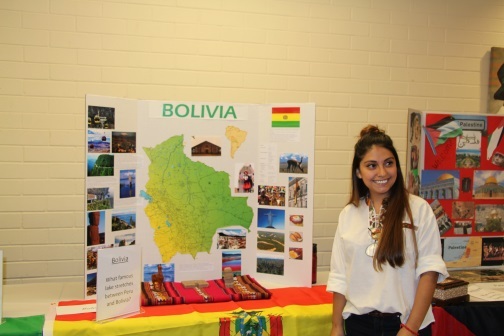 Students are required to present oral reports and/or speeches, participate in a mock employment interview, participate in a debate on some student-chosen current event, and myriad other activities that present opportunities for students to practice and hone their English speaking and listening skills. This class also calls upon and requires students to demonstrate what they have learned in the other three classes (Reading, Writing & Grammar) using complete sentences, correct grammar usage, and reading and interpreting certain documents. 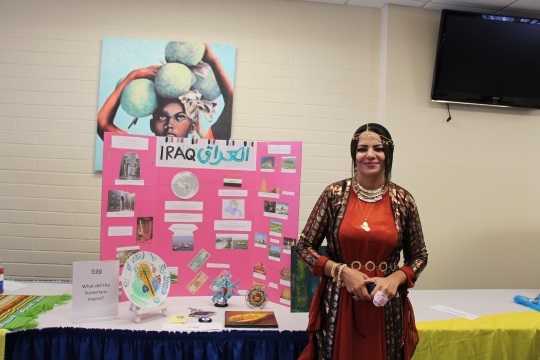 As well, FSCJ hosts an International Education Week each fall complete with student activities, dance and song presentations, documentary and discussions, and food from all nations. 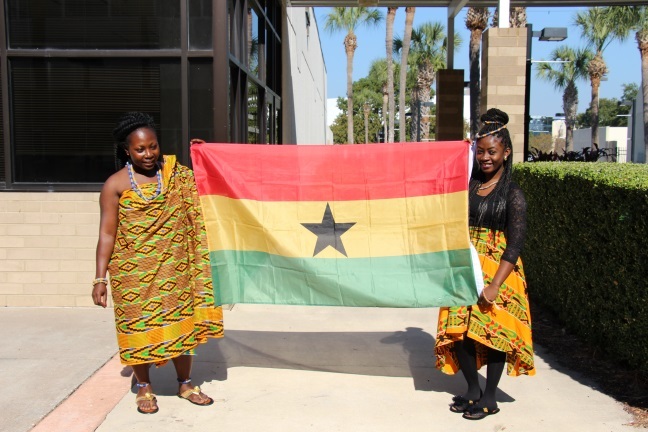 Activities vary at each of the five campuses and students are encouraged to attend and participate in as many as they wish. Provides students opportunities to practice English language pronunciation, articulation, intonation, common speech rates and more. Students will learn to communicate more clearly in personal and professional situations through engaging classroom activities, including oral exercises, recordings and read alouds. يقدم معهد اللغة الإنجليزية (English Language Institute)، إي أل آي (ELI)، تدريس/تعليم مكثف، عالي الجودة وغير معتمد لغير الناطقين باللغة الإنجليزية. إي أل آي (ELI) هي وحدة أكاديمية من فلوريدا ستيت كولج في جاكسونفيل ( Florida State College at Jacksonville) وتوجد في حرم الجامعة في وسط المدينة (Downtown Campus). رسالتنا هي مساعدة الطلاب على اكتساب كفاءة في اللغة الإنجليزية كلغة ثانية ومساعدتهم على اكتساب فهم أفضل للثقافة الأمريكية. يقدم برنامج اللغة الإنجليزية المكثف إي أل آي (ELI) تدريسا مكثفا، عالي الجودة وغير معتمد لغير الناطقين باللغة الإنجليزية. يدار إي أل آي (ELI) من قبل دائرة التعليم المستمر التابعة لفلوريدا ستيت كولج في جاكسونفيل ( Florida State College at Jacksonville) التي تقع في الحرم الجامعي في وسط المدينة (Downtown Campus). يساعد هذا البرنامج الطلاب على اكتساب مهارة في اللغة الإنجليزية كلغة ثانية ويوفر فهما أفضل للثقافة الأمريكية. تماشيا مع رسالة البرنامج المركزية - متوافقة مع رسالة الكلية لتوفير تعليم هادف، تدريس متميز وخدمات نوعية- سيزود الطلاب ببيئة محفزة فكريا وداعمة وتمتاز بالمرونة ومع ذلك موجهة نحو الهدف. حالما يقوم الطالب بتسليم طلب الالتحاق مرفقا برسم طلب التحاق غير مسترد بقيمة $ 80، سيرسل له اختبار تقييم عبر الإنترنت. سابقا للقبول، تطلب الكلية معلومات إضافية تتعلق بمهارات اللغة الإنجليزية الحالية. ستساعد نتائج الاختبار الطاقم على تحديد فيما إذا كان هذا البرنامج هو الأنسب للطالب لتحسين مهاراته في اللغة الإنجليزية، فيما إذا قبل الطالب، أو فيما إذا سيتم إدراجه في مستوى متوسط أو متقدم. لا يمكن معالجة خطاب قبول الطالب وشهادة الأهلية نموذج آي-20 (I-20 Form) قبل استلام نتائج الاختبار. حالما يكمل الطالب الاختبار، سيتم التواصل معه من قبل الكلية عبر البريد الإلكتروني بخصوص وضع قبوله. تُزود مراسلات إضافية من خلال رسالة ترحيبية عبر البريد الإلكتروني من قبل إدارة الطلاب تتعلق بتمهيد الطالب، تواريخ الدراسة للفصل، القسط، وأشياء ضرورية أخرى. يخدم هذا البرنامج الطلاب الدوليين غير الباحثين عن الشهادات ويسعون للحصول على تأشيرة طالب دولي أف 1 (F -1 International Student) فقط. يساعد طاقم إي أل آي (ELI) الطلاب الراغبين للتقدم بطلبات التحاق للبرامج التي تمنح الدرجات عن طريق تزويدهم بتدريس في اللغة الإنجليزية واستشارات في القبول للكليات. يساعد إي أل آي (ELI) الطلاب الدوليين على اكتساب الأسساس في اللغة الإنجليزية الذي يحتاجونه للدخول والتفوق في برامج الدرجات في فلوريدا ستيت كولج (Florida State College) أو غيرها من المعاهد التعليمية العليا. صمم هذا المساق لمنح الطالب فهما بقواعد اللغة الإنجليزية من خلال التدريس الصفي وعن طريق الممارسة داخل وخارج الصف. هناك القليل من حقول التركيز الخاصة في هذا المساق تفصله عن مساق في القواعد للناطقين باللغة الإنجليزية. يكتسب هذا أهمية لأن مقررات كتب القواعد والمحاضرات في صفوف الكليات القياسية في الدول الناطقة باللغة الإنجليزية لم تصمم عموما لغير الناطقين باللغة الإنجليزية. التشديد الأول هو على تركيب الجملة والعبارة. بالرغم من أنك قد تواجه تراكيب قواعدية إنجليزية في هذا الفصل، سيكون هناك، بدون شك، تنوع في المعلومات الجديدة المقدمة. التشديد الثاني في هذا المساق هو حول اختيار الكلمة. يجد معظم دارسي اللغة الأجنبية أنفسهم في تيه عندما يكون عليهم اختيار الكلمة بلغتهم الثانية/غير الأم، وهو ما يُنتج معنى مشكوكا فيه أو حالة تيه. تشمل مهارات القواعد في هذا الصف تحديد واستخدام صيغ الأفعال الصحيحة، الأسماء، الصفات، الظروف، حروف الجر، الضمائر وكذلك أدوات الربط. صمم هذا المساق لمنح الطالب فهما لعملية القراءة من خلال التعليم الصفي والممارسة داخل وخارج الغرفة الصفية. هناك العديد من حقول التركيز في هذا المساق التي تفصله عن مساقات القراءة للناطقين الأصليين باللغة الإنجليزية. التشديد الأول هو على عمليات الاستقراء/الاستنتاج في الثقافة الغربية. يكتسب هذا أهمية لأن المقررات الدراسية - والمعلومات في مساقات على مستوى الكلية - منظمة ومعروضة تبعا لعملية المنطق الخطية هذه. التشديد الثاني هو على المفردات. بالرغم من أنك ستتعلم العديد من المفردات الإنجليزية الجديدة، تقنيات تحسين المفردات هي أكثر أهمية. التشديد الثالث في هذا المساق هو على طلاقة القراءة. معظم دارسي اللغة الأجنبية يقرأون اللغة الثانية بشكل أبطأ، مما يعني ساعات دراسية أكثر. تشمل مهارات القراءة الخاصة في هذا المساق تحديد الأفكار الرئيسية وأنماط البناء/التنظيم، القيام بالاستدلال والتعميم، تمييز الحقائق من الآراء وتشخيص النغمة/النبرة. صمم هذا المساق لمنح الطالب فهما لعملية الكتابة من خلال تعليم صفي وكذلك عبر ممارسة داخل وخارج الغرفة الصفية. هناك حقول متعددة ذو تركيز خاص في هذا المساق تفصله عن مساق كتابة للناطقين الأصليين باللغة الإنجليزية. التشديد الأول هو على قواعد الإنجليزية على مستوى الجملة، الشطرة والعبارة. التشديد الثاني هو على المفردات. معظم دارسي اللغة الأجنبية يمتلكون مفردات محدودة عند الكتابة بلغتهم غير الأم، والتي قد تنتج معان مشكوك فيها أو ضياع مطبق تبعا لذلك. سيتم تشجيع الطلاب على استخدام المفردات التي سبق وعرفوها ولكن على أن يتعلموا ويستخدموا مفردات جديدة. التشديد الثالث في هذا المساق هو على تنظيم/بناء المعلومات. يأتي العديد من دارسي اللغة الأجنبية من ثقافات تنظم المعلومات بطريقة تختلف عن تلك الموجودة في المجتمع الغربي. لمساعدة الطلاب على فهم الطرق النموذجية التي تنظم فيها المعلومات في الغرب، سيخصص وقت ملائم من الحصة لنقاش وتوضيح هذه المساحة الحاسمة. تشمل مهارات الكتابة الخاصة في هذا المساق تكوين جمل كاملة، الاستخدام الأجدى لأنواع الجمل المختلفة، فهم واستخدام العصف الذهني والتلخيص، والتحرير الذاتي. من خلال صفوف الاستماع والمحادثة، سيحسن الطلاب مهاراتهم من خلال منهاج مخصص مركز على تحسين اللفظ، تمارين استماع مكثف، وفرص لتطوير وممارسة أنواع متنوعة من وظائف الحديث من خلال العمل بأزواج، مجموعات العمل الصغيرة، والعروص الصفية. الطلاب مطالبون بتقديم تقارير شفوية/أو خطابات، المشاركة في مقابلة توظيف تمثيلية/ساخرة، المشاركة في جدال حول حدث جار من اختيار الطلاب، ومدى من فعاليات أخرى تقدم فرصا للطلاب لممارسة وشحذ مهاراتهم الخاصة في الاستماع والمحادثة. يحث هذا الصف الطلاب أيضا ويطلب منهم عرض ما تعلموه في الصفوف الثلاثة الأخرى (القراءة، الكتابة & القواعد) باستخدام الجمل الكاملة، الاستخدام الصحيح للقواعد، وقراءة وترجمة وثائق محددة. منهاج ديناميكي ونوعي (قواعد، قراءة، كتابة، استماع ومحادثة)، ونشاطات اندماج ثقافية محلية ورحلات ميدانية. يلتقي الطلاب من الاثنين حتى الخميس من كل أسبوع. يجب أن يحضر الطلاب صفوفا من الساعة 8:30 صباحا وينهون الساعة 2:00 مساءً أو 9:30 صباحا وينهون 3:30 مساءً اعتمادا على فرقهم. حضور جميع الصفوف، النشاطات والرحلات الميدانية إجباري ومطلوب للحفاظ على وضع تأشيرة الطالب أف 1 (F-1 ). رحلات الاندماج/الميدان تنفذ اعتياديا يوم الثلاثاء الثالث من كل شهر. تأخذ الرحلات الميدانية الطلاب عبر جاكسونفيل وتقدم لهم فرصا للاندماج الثقافي ولتعلم المزيد عن المنطقة الجغرافية، ثقافتها وتاريخ ثري، والناس الذين ساعدوا في التطوير الاقتصادي والسياسي. قسط برنامج إي أل آي (ELI) هو 2934 دولار لكل فصل شاملا الكتب، جميع المواد التعليمية، القبول في النشاطات والرحلات الميدانية، ويغطي وجبة غداء للصف بعد كل رحلة ميدانية. يطلب من الطالب، كجزء من الأعمال الورقية للتسجيل، تزويد شهادة اعتماد/مسؤولية مالية تبين أرصدة كافية لتغطية القسط ومصاريف حياتية سنوية تقريبية تتراوح بين 10،000 و 12،000 دولار، مضافا لها تقريبا 6،000 دولار لكل مُعال. نموذجيا، يحضر/يتواجد الطلاب لمدة فصلين وبالتالي تقدر الأعباء المالية بحوالي 17،000 دولاربالإضافة إلى أية معالين آخرين لمدة سنة كاملة واحدة. تُعرف جاكسونفيل، فلوريدا " بالمدينة الجريئة الجديدة للجنوب." تضم أكثر من 500 حي، هناك ثقافات متنوعة من الحياة المدينية تحقق نمط حياة شاطىء فلوريدا الهادىء. خلال تواجدك كطالب هنا، ستتاح لك الفرصة لرؤية المناظر ولتجربة ثقافة فلوريدا الحقيقية. بمحاذاة وسط بلدة جاكسونفيل في حي رفرسايد (Riverside) التاريخي يوجد متحف كمر للفن والحدائق (Cummer Museum of Art and Gardens) مع مناظر حية على طول نهر ساينت جونز العظيم ( the mighty St.John’s river). تمتع بيومك فيه وتفقد سوق الفن المحلي القريب أيام السبت من الساعة 10 صباحا وحتى 4 مساءً! هناك أيضا تنوع من المتاحف التي تتواجد في منطقة وسط البلد مثل متحف العلوم والتاريخ، أم أو أس أتش ( Museum of Science and History (MOSH)، متحف الفن المعاصر، أم أو سي إيه (MOCA) ( Museum of Contemporary Art). على جانب الشاطىء، يتواجد هناك متحف شاطىء جاكسونفيل التاريخي (Jacksonville Beach Historical Museum). معظم أيام الأحد هنا في المدينة الجريئة مخصصة للعبة كرة القدم. جاكسونفيل جاجوارز (Jacksonville Jaguars) هو فريق كرة قدم محترف وجزء من رابطة كرة القدم الأمريكية، أن أف أل (NFL). كما يتوافر العديد من المباريات المحلية لتحضرها في ستاد إفربانك (Everbank Stadium) خلال أشهر الخريف. إذا عشت هنا، ستلتقط سريعا حمى الجاجوار ( Jaguar fever) وستجد نفسك تزأر بفخر مع جاكسونفيل جاجوار! خيار عظيم آخر ليوم من المتعة هو حديقة حيوان جاكسونفيل والحدائق (Jacksonville Zoo and Gardens)، مع تشكيلة متنوعة من الحيوانات فمن السهل قضاء يوم بأكمله تتعلم عن مخلوقات من قريب وبعيد. كذلك تضم جاكسونفيل مركز التسوق الكبير في مركز مدينة ساينت جونز (St. John’s Town Center). موطن لأكثر من مئة محل تجاري ومطعم ولا يزال يتوسع! يتواجد بالقرب قاعة الجولف المفتتحة حديثا المسماة توب جولف (Top Golf) حيث تستطيع اختبار مهاراتك في الجولف. خلال أشهر الصيف ستجد كل من المحليين والسياح ممسكين لوح تزلج ومتجهين لشاطىء جاكسونفيل (Jacksonville Beach) لتشتيت بعض الأمواج وامتصاص دفء الشمس. يضم شاطىء جاكسونفيل العديد من الحانات والمطاعم لتدخلك في الحقيقة في أجواء فلوريدا الهادئة. بغض النظر عن الجزء الذي تتواجد فيه في المدينة فهناك دائما شىء يحدث في جاكسونفيل! بإنهاء البرنامج، تعطى مجموعة ثانية من الاختبارات التقييمية التشخيصية لتحديد المستوى الخاص بالطالب في القواعد، القراءة، الكتابة والإستماع. تستخدم هذه النتائج لتحديد أهلية الطالب لإختبار أكوبلاسر لتحديد المستوى (ACCUPLACER (CPT-L) Placement exam) . هذه النتائج تستعمل لوضع الطالب في مساقات متابعة اللغة الإنجليزية للأهداف الاكاديمية (EAP) في حال رغب الطالب بمتابعة المسار الأكاديمي و تحصيل الدرجة. هذه المساقات الاريعة- القراءة، الكتابة، القواعد والمحادثة- هي ثلاث ساعات معتدة لكل منها وتحتسب كمتطلب لدوام كامل للحفاظ على نموذح آي 20 (I-20).